Scholarship applications for the Pilchuck Glass School's Summer and Fall 2018 sessions are due on February 1st. courtesy: pilchuck glass school. Pilchuck Glass School is offering a robust series of scholarships for its Summer 2018, and week-long Fall 2018, sessions. Due by midnight – Pacific time – on February 1st, scholarship applications will put students in consideration for general scholarships, a long list of specialized scholarships, and two incredible artistic merit scholarship opportunities: a residency at Norway’s S12 Open Access Studio and Gallery, and a multi-week live/work program in the glassmaking Mecca of Murano, Italy (supported by Laguna B). Here at Glass: The UrbanGlass Art Quarterly, we're committed to spreading the appreciation of glass art. That’s why, this holiday season, we're offering a special gift subscription offer. 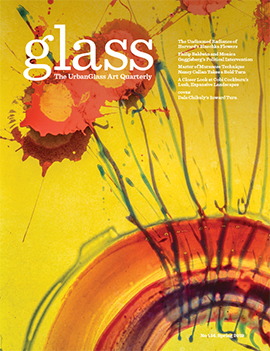 Purchase a gift subscription using this link, and your gift recipient will receive a free copy of both Glass Quarterly and Corning Museum’s New Glass Review in time for the holidays! GLASS: The UrbanGlass Art Quarterly has launched a comprehensive online directory of glass schools and suppliers. Organized by areas of focus, this directory is an exhaustive list of every glass education program – degree and non-degree granting – and all glassmaking material, equipment, and tools suppliers we were able to locate. Visit glassquarterly.com/resources (or simply click the “Resources” tab at the top right of this screen), and start using the definitive, up-to-date resource for the glass art field. 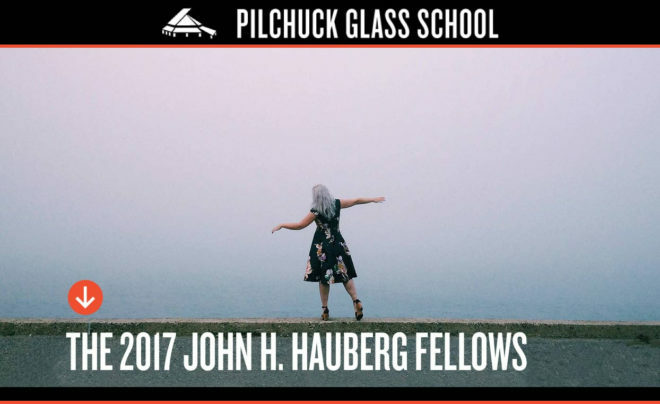 Pilchuck announces its 2017 John H. Hauberg Fellows, Tempestuous Commons. 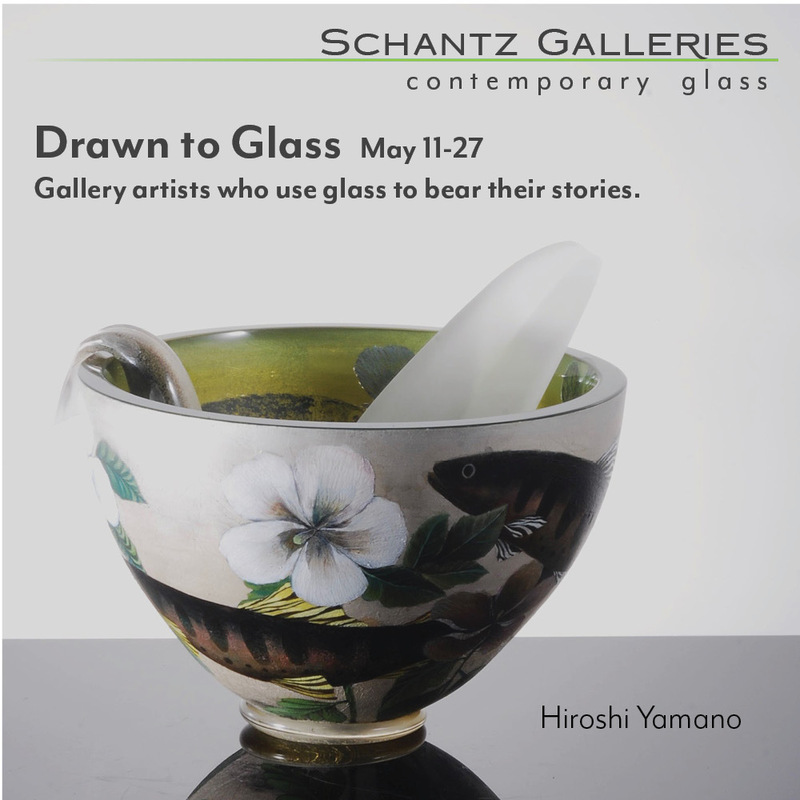 courtesy: pilchuck glass school. Pilchuck Glass School has announced its 2017 John H. Hauberg Fellowship recipients, a group called Tempestuous Commons, who plan to “explore the female form as a narrative tool for expression,” according to the announcement. Tempestuous Commons, a newly formed group of emerging artists working largely in mixed-media sculpture, is comprised of Ashley Berkman, Jade Usackas, Kelsie McNair, and Nadira Narine. Their Pilchuck residency, which provides living accommodations and access to all Pilchuck studios except its hot glass shop, will take place from April 26th to May 12th, 2017. 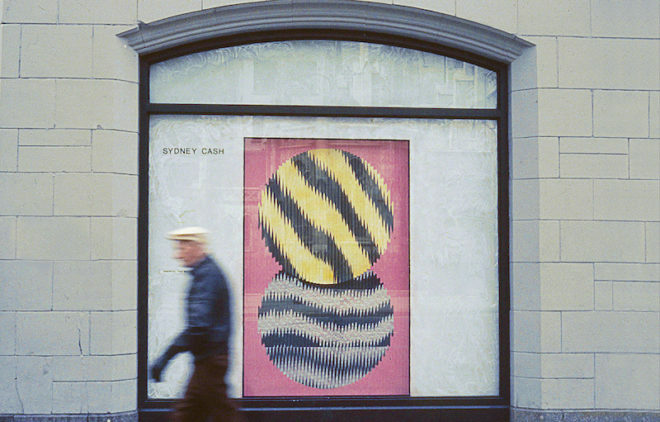 Original image of Sydney Cash's Broadway Windows Gallery installation of 1987. courtesy: heller gallery. The unique optical qualities of glass &mdash; its translucency, transparency, reflection, and refraction &mdash; have served as rich terrain for artist Sydney Cash, who developed a lifelong relationship with the material after working with curved mirrors. Opening tonight, a retrospective exhibition of Cash's kinetic sculptures at Heller Gallery will showcase the artist's evolving visual vocabulary from the 1980s through the present, and will include a reprise of the now-legendary glass window installations from Cash's seminal Broadway Windows Gallery exhibition in 1987. Activated by passersby on the street, the three windows will make the city street part of the exhibition entitled "Pre-Net," and will likely have viewers moving back and forth before the gallery's large windows on 10th Avenue in the Chelsea area of Manhattan. 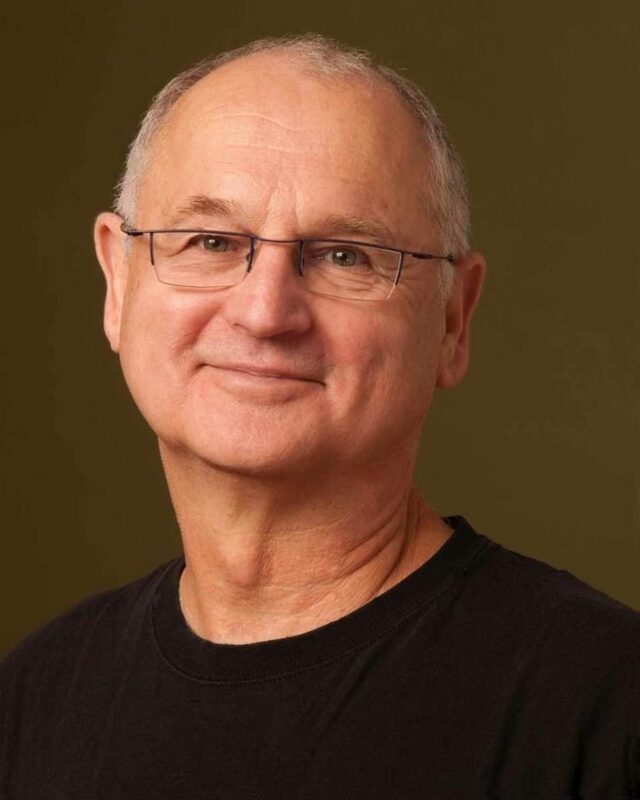 Jacob Fishman, It Is What It Is. Neon. courtesy: bergstrom mahler museum of glass. There's something magnetic about neon. 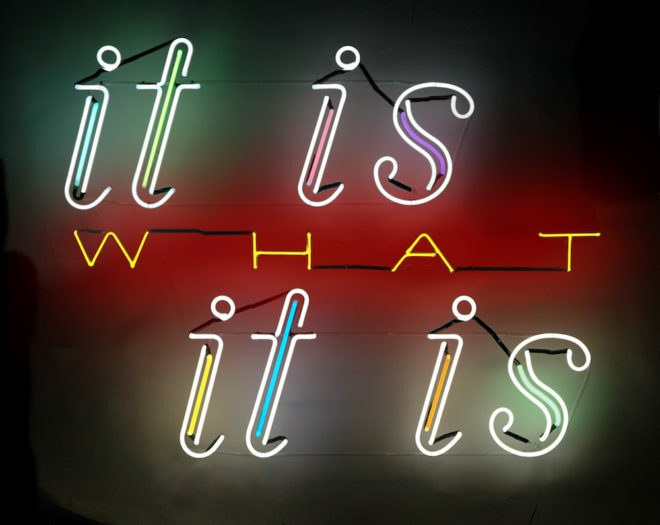 An object emitting light attracts the eye, no doubt the main reason neon has been so popular for so long as a medium for commercial signs. Executive director of Bergstrom-Mahler Museum of Glass Jan Smith thinks this provides a special opportunity for neon art. 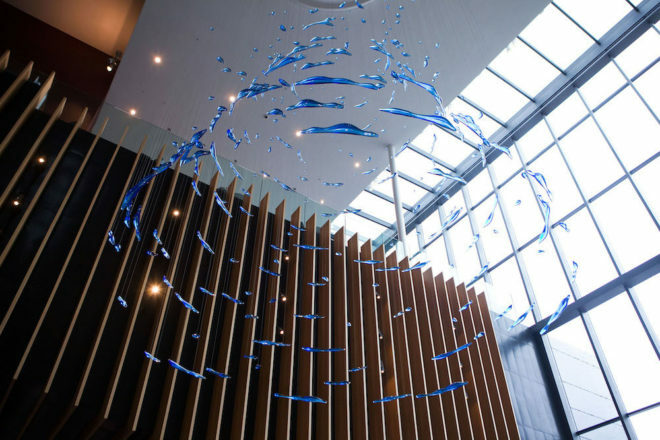 "A sense of familiarity with its history in signage gives people an entry point," she told the GLASS Quarterly Hot Sheet, "and the journey into the sculptural realm takes them into a surprisingly new dimension." 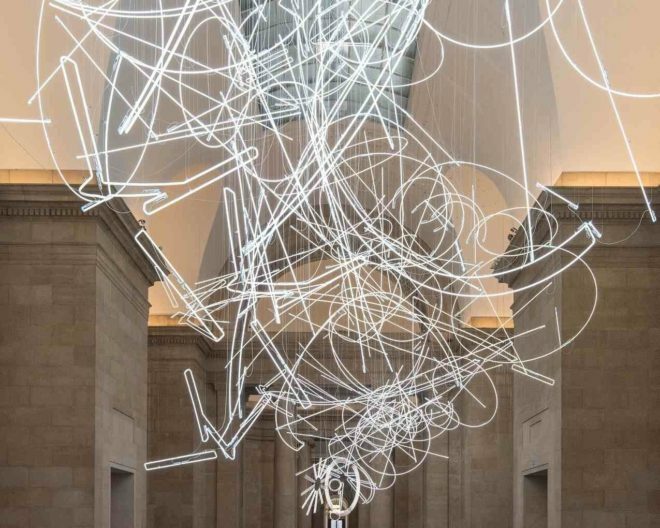 The museum hopes to guide visitors on that journey with "Bending Brilliance," a neon and plasma group exhibition currently on display through February 19th, 2017. Cover of 'Chihuly Faxes,' available now through Chihuly Workshop. courtesy: chihuly workshop. Faxes may have given way to email, but contemporary technology was an integral part of Dale Chihuly’s artistic practice throughout the 1990s. 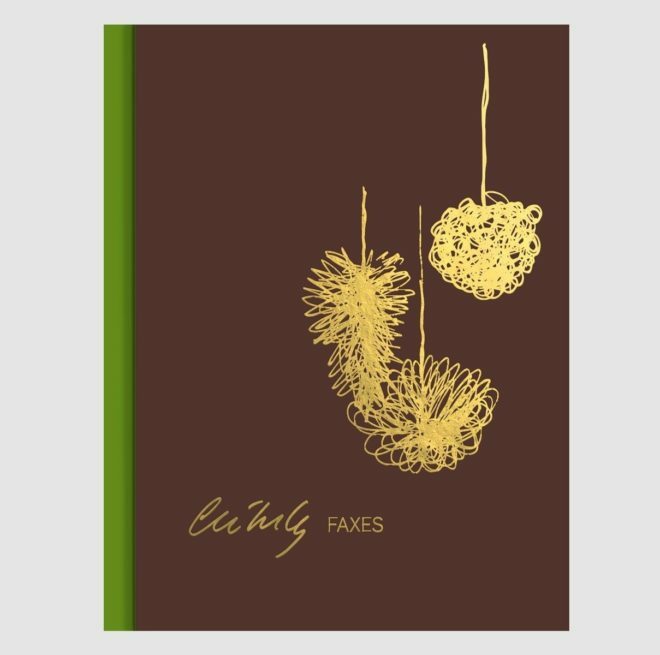 Now, a new book entitled Chihuly’s Faxes compiles 130 of these faxes hand-picked from an archive of 7,500. Treated as a medium for design ideation and instant communication, Chihuly’s faxes are described by lauded novelist, essayist, and critic, Francine Prose as “dreams about art.” Prose, a former president of PEN American Center, has written a foreword to the book, and her essay includes an analysis of “technology’s role in communicating bold ideas.” The new book is available now through Chihuly Workshop.